Thank you to all who came to the Molieben yesterday, July 22nd. 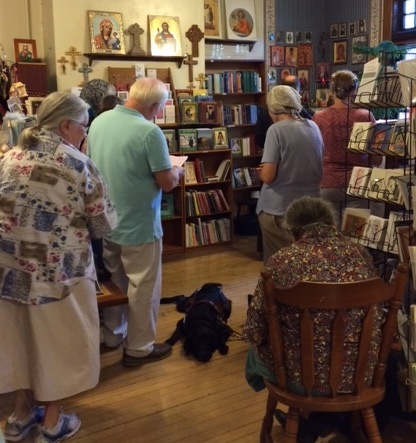 It was the first time we held it at St. Seraphim Orthodox Bookstore, which was very providential in many ways. 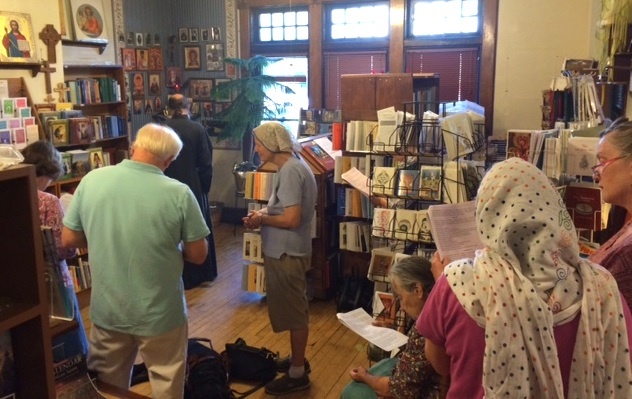 Four parishes were represented which included the faithful from Indianapolis – Joy of All Who Sorrow, Sts. Constantine and Elena, St. John the Forerunner and from Bloomington – All Saints! Welcome Jim and Patricia, delighted to have you both. Thanks to Deaconessa Rebecca for making the delicious vegan sloppy joes 🙂 also to everyone’s contribution, and most importantly your presence. May God continue to bless this ministry, through the prayers of the Mother of God and St. John the Wonderworker of Shanghai and San Francisco, our patron saint.